The Paris Agreement, adopted at the 21st session of the Conference of the Parties to the United Nations Framework Convention on Climate Change, proposed to limit global warming and climate change by decarbonizing the energy sector. As stated by the International Energy Agency (IEA) in its 2016 report on the world energy outlook, this sector accounts for two-thirds of CO2 and GHG (Greenhouse Gases) emissions. The targets seem ambitious at first, as the accord set to limit the increase in global temperature to under 2 degrees Celsius above pre-industrial levels, but there are resourceful allies in this global effort. The luminous energy reaching the Earth’s surface from the Sun is equivalent to 10,000 times the world’s energy needs. 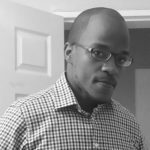 Africa, as a latecomer to modern energy developments, has a triple advantage: it can adopt the latest renewable technologies, adapt them to local needs and innovate to create new opportunities. 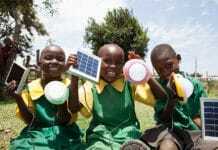 Energy access and climate adaptation is key to Africa’s development. As evidence, many initiatives are taking place on the continent like the Africa Renewable Energy Access Program (AFREA), the Sustainable Energy Fund for Africa (SEFA) and the Africa Renewable Energy Fund (AREF). Solar power has often been criticized as too dependent on intermittent weather conditions, but that is precisely where the opportunity lies. Beyond energy access, the problem of energy efficiency and adaptation to local conditions creates a considerable market prospect. In solar photovoltaic systems, inverters are crucial devices that convert the DC input power from PV modules into AC power used by grid appliances. Solar irradiance and ambient temperature distribution over the entire year influences how this input fluctuates. Inverters achieve different efficiencies under different power inputs. Consequently, PV systems power production is reliant on the weather profile and project designers and developers cannot simply rely on the peak efficiency on the inverter’s manufacturer’s datasheet to estimate the amount of power PV plants can produce. The standard models used to compare the performance of inverters are the European efficiency and the CEC weighted efficiencies. The first was developed in 1990 by Rolf Hotopp based on climate data from Trier, Germany. The Joint European Research Center (JRC) later incorporated weather from Ispra, Italy. The second formula was designed by the Californian Energy Commission using meteorological data from Sacramento in California for its higher insolation. These values are referenced by basically all inverters on the market in the EU, the US and globally. These models weigh various input power ranges based on how frequently they occur at the selected sites and how much they contribute to the overall annual energy yield. However, because sites located at different latitudes, altitudes and longitudes will accordingly display different atmospheric conditions, predicting the amount of energy that can be harnessed from PV plants in Africa requires that the Euro and CEC weighted efficiency be reformulated and adapted to local weather patterns. Cities like Nairobi (Kenya) or Cape Town (South Africa) are economic hubs of the continent within countries that are establishing interesting visions for solar power. But it would be an advantage for them to use standards for solar power conversion that are better adapted to their climates. 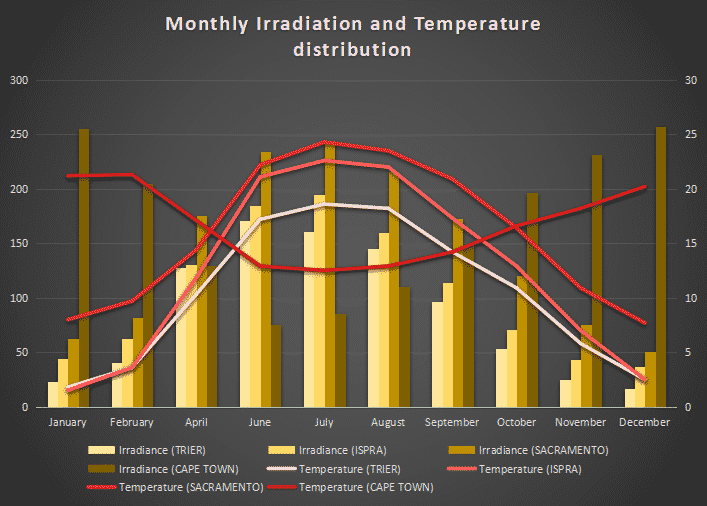 Difference between annual temperature and irradiation profiles at Trier (Germany), Ispra (Italy), Sacramento (California) and Cape Town (South Africa), using monthly data from Meteonorm 7 | Click here to view the full-size chart. Software like PVSYST are tools used by engineers to design and simulate the behavior of PV systems in meteorological conditions unique to a site. Thanks to the extensive Meteonorm database that PVSYST incorporates, climate data for thousands of sites in Africa and around the world can be obtained to model their distribution over an entire year. The study showed that, whether using monthly, daily or more accurately hourly data, there is a mismatch not only between European or Californian standards and sites located in Africa, but also and obviously between African cities themselves. Since, temperature and irradiance are known to have an effect on the solar cells producing the inverter’s DC input, here is an opportunity to develop African regional efficiency standards. 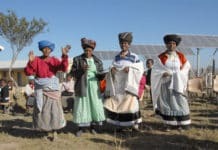 South Africa, through its Integrated Resource Plan (IRP) and its Renewable Energy Independent Power Producers Program (REIPPPP) is set to be a great leader in the implementation of solar power. The Department of Energy has set a target of 8.4 GW of PV capacity for 2030 in the scope of the IRP. Kenya is another example, with a delightful vision for 2030, to transform Kenya into a newly industrializing, middle-income country, by for example increasing generation capacity by 23 GW by 2030. According to the Kenyan Energy Regulatory Commission, Northern Kenya (including almost the whole of the North Eastern province) and other arid lands have powerful reliable sunshine throughout the year, a high potential for investment in solar energy and for sale to the national grid. African cities’ local climates can be used as references as they display different monthly distribution of solar irradiation and ambient temperature compared to the sites considered by the Euro and CEC benchmarks for assessing solar PV inverter efficiency. When Microsoft Excel functions or MATLAB are used to compile PVSYST results (using hourly data for weather and energy parameters), it becomes evident that the standard Euro and CEC efficiency models do not make accurate predictions when it comes to African climates because they do not prioritize the same energy ranges. This approach produces new African weighted efficiency formulas, developed based on local African climates that would be incorporated into new regional brands of PV inverters. This adds to the understanding of solar PV technology and creates business opportunities for local solar markets and manufacturers. This study was the subject of my master’s thesis at Cape Peninsula University of Technology in South Africa (Faculty of Electrical Engineering), where I showed the discrepancy between the assumptions made by the Euro & CEC efficiency models and climate data for the city of Cape Town. The research yielded a new model more representative of the local meteorology. Hourly (not monthly or daily) data about irradiation, temperature, DC input and AC output were used for an entire year (8,760 hours) for a resolution as accurate as possible. 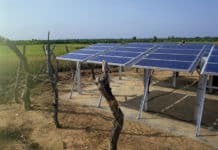 As the African Climate Technology Centre, hosted by the African Development Bank supports sub-Saharan countries in deploying low carbon and adopting environmentally responsible technologies for adaptation and climate change mitigation, this study approved by the University’s Department of Electrical Engineering set to simulate them as accurately as possible the way a theoretical grid-connected PV inverter behaves under Cape Town climate conditions to establish the link between the meteorology and the overall energy yield. The aim was to come up with an efficiency model more adapted to an African climate, hopeful sparking the interest of researchers, industries and manufacturers across the continent and even beyond. With robust and extensive weather data and software platforms, different irradiation classes were ranked by how often they occur at the selected site and what influence they have on the photovoltaic electricity thus produced. The European efficiency assumes that nearly 80% of the annual yield would be collected at and below 500 W/m2 irradiation levels. The CEC efficiency predicts 95% of that production to be harvested below 750 W/m2 irradiation levels. But neither of these predictions matches the data obtained for the site of Cape Town. Based on hourly figures analyzed for the local climate, classes of solar irradiances at 500 W/m2 and below, between 500 and 750 W/m2 and above 750 W/m2, each contributes about one third (33%) of annual energy yield. This contribution translates in the way they influence, along with the temperature effect, the variation of the DC power produced by PV modules that will then determine the variation of the PV inverter efficiency. The ratios between the maximum power available for every hour of the year PMPP and the nominal power given for Standard Test Conditions PSTC (1 kilowatt for a solar irradiance of 1,000 W/m2 with an ambient temperature of 25°C) are calculated for all the 8,760 hours of a characteristic year compiled from nearby weather stations and satellite data. These ratios are influenced by the corresponding weather parameters and it is revealed how much energy each range contributes to the total yield of the PV system. 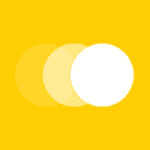 As a result, the European efficiency prioritizes lower power ranges (50% and below) but, on the site, it is observed that higher power ranges are prioritized (75% and above). 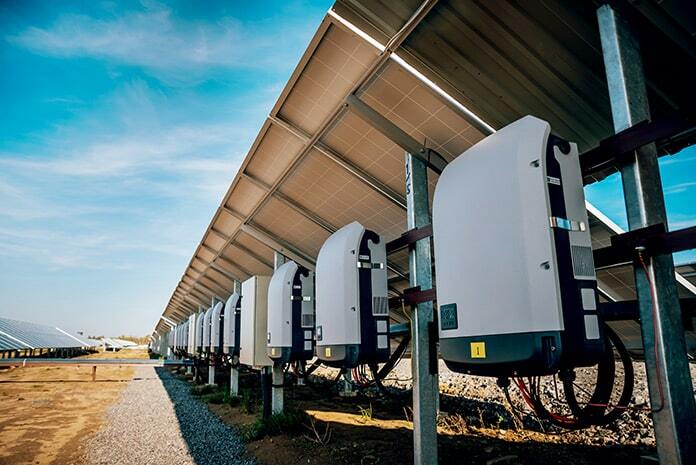 Inverters with a weighted efficiency that prioritizes power ranges that do not occur as frequently at the site would lead to inaccurate predictions and potential financial losses. But interestingly, and somewhat expectedly, the weighted efficiency developed by the Californian Energy Commission with data initially from the city of Sacramento in California is closer to matching the energy contributions as calculated for the South African city. This is no coincidence since the CEC model was developed as an alternative to the European efficiency, taking into account regions with higher insolation. It is still not a good enough match and shows deviations in the weighting of the different power classes. The most glaring mismatch is evident for the highest power ranges, between 75% and 100% PMPP/PSTC ratios. This interval contributes 28% to the total generated energy of the solar PV plant when the CEC efficiency only predicts 5%. These results are obtained when the inverter is operating at the site based on the CEC model. Using the results and the inaccuracies observed by testing the PV inverter under both Euro and CEC models, the formulas were corrected in how they weigh specific power intervals to make them more accurate and representative of the atmospheric conditions at the selected site. And thus, a more reliable weighted efficiency was developed. 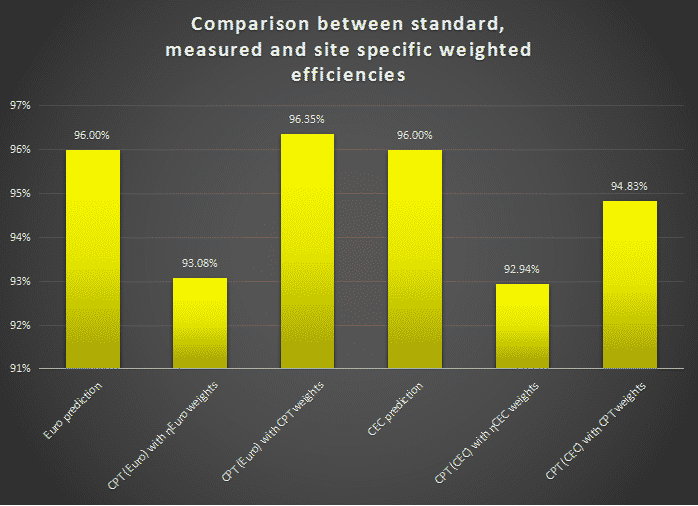 Although the European and the CEC efficiency were both assumed to be 96% according to the datasheet, applying Euro and CEC weighting factors, given the site’s weather parameters, showed lower figures. But when weights recalculated based on the local climate were integrated, higher and more accurate figures are obtained. The discrepancy between predicted, measured and corrected inverter efficiency as simulated for the city of Cape Town, with hourly data from Meteonorm for a 1 kW grid-tied system | Click here to view the full-size chart. Indeed, one has to do the required thorough research accounting for African environment, instead of carrying-out Copy/Paste clicks on solutions relevant for other regions. I guess that the issue is less pregnant for Battery-connected inverters, but this study really shows that claims on performances of inverters sold in Africa have to be questioned/corrected.